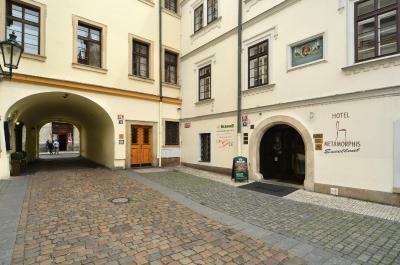 Lock in a great price for Hotel Metamorphis – rated 8.6 by recent guests! My cozy room. 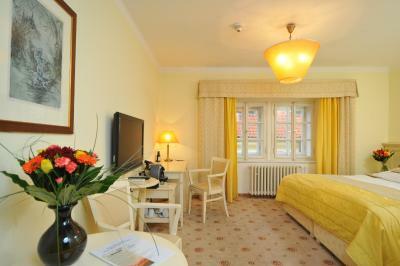 The bathroom, the housekeeper, Irena, the desk staff, especially Petar + Jakub. The excellent breakfast. Excellent location. 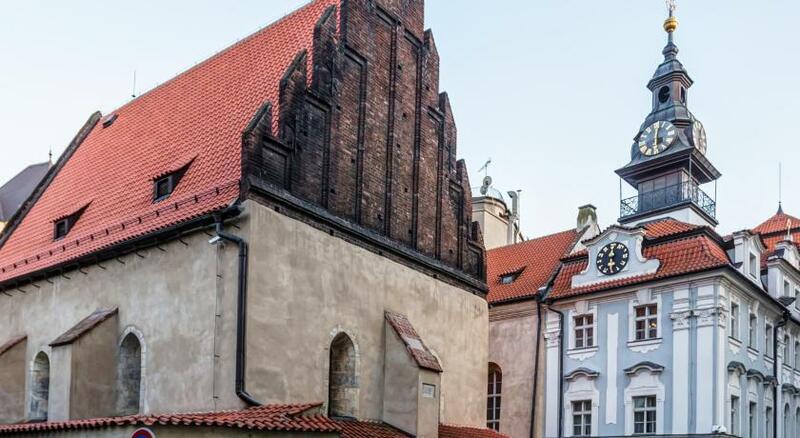 Extremely close to old town square. No elevator but got a good workout instead :) Pleasant staff. Very helpful. Be sure to plan ahead. The beer spa is located in the basement but was full when we were there. 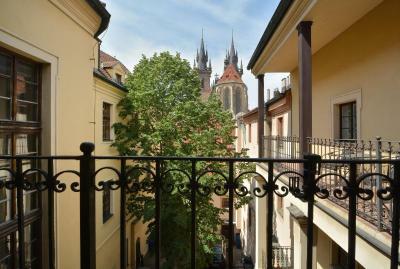 Located right in the heart of old town with easy access to everything. 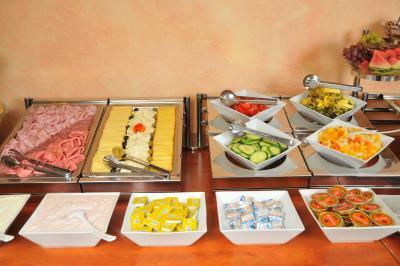 Breakfast is meats, cheeses, bread, pastries, yogurt, fruit, etc. 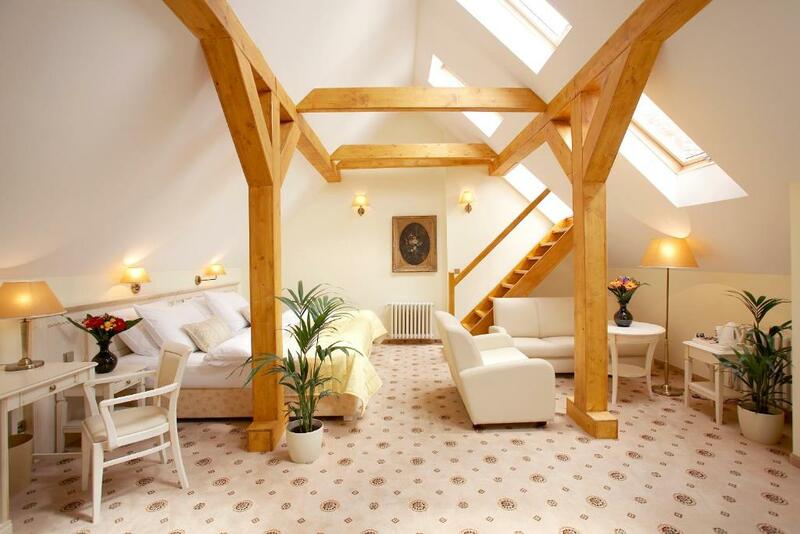 Suite on top floor is large with a sitting area and a private roof top balcony with a beautiful view of Tyn Church! Reception staff was very helpful and friendly. Room was huge and clean, beds were comfy. 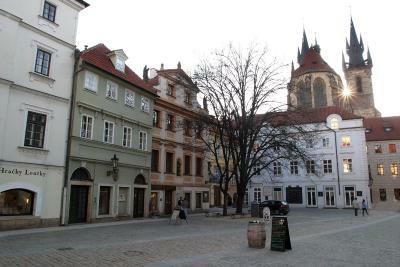 The location is wonderful for exploring the Old Town Square. Breakfast was great. 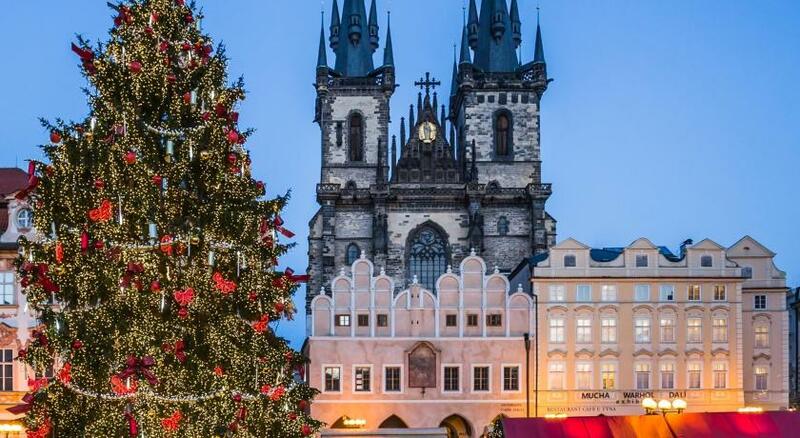 A very good choice for a holiday in Prague! 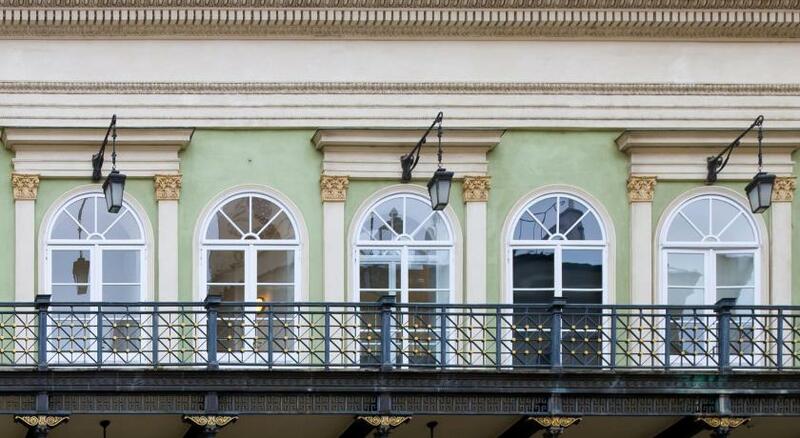 Hotel Metamorphis This rating is a reflection of how the property compares to the industry standard when it comes to price, facilities and services available. It's based on a self-evaluation by the property. Use this rating to help choose your stay! 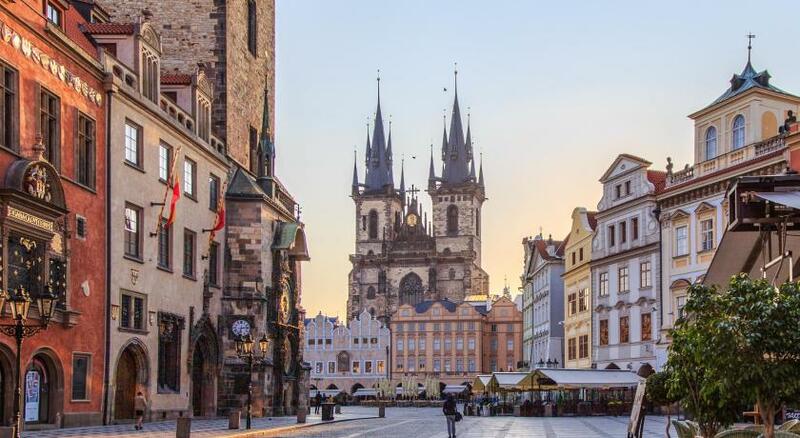 The Metamorphis Hotel is in a historic building in the heart of Prague’s Old Town, just 200 feet from Old Town Square and less than a quarter mile from Wenceslas Square. It offers free Wi-Fi and wired internet access, and includes a unique beer spa. 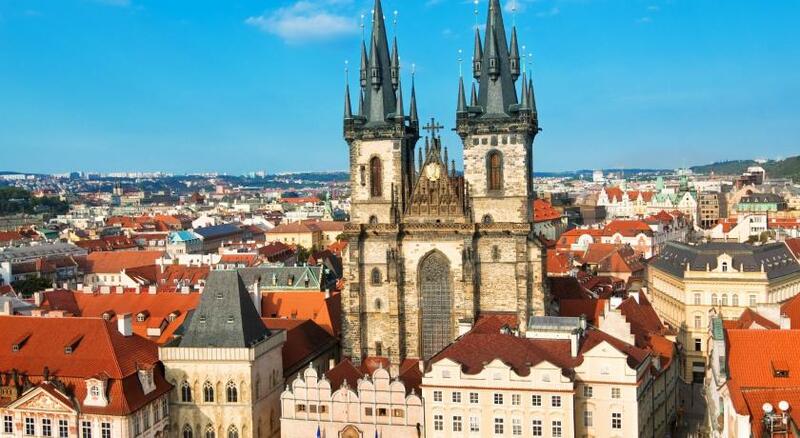 The restaurant has a summer terrace and serves Czech and international cuisine, as well as a selection of fine wines. At an additional fee, guests of Hotel Metamorphis can enjoy a relaxing soak in a wood tub filled with beer. Unlimited beer consumption is included. Private parking is available for an additional fee. 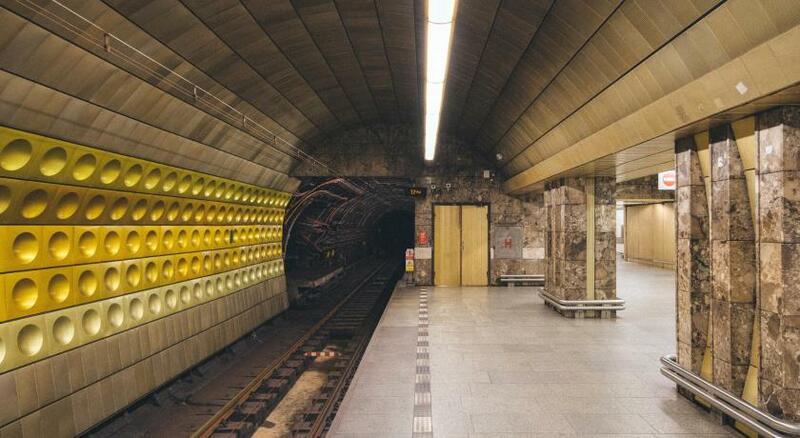 The Staromestska Metro Station is only 650 feet away. When would you like to stay at Hotel Metamorphis? 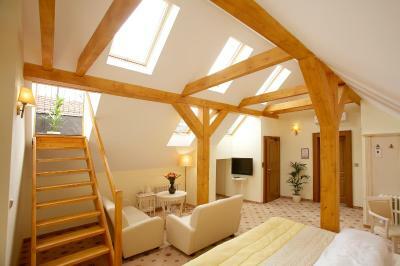 The rooms are decorated with rustic wooden furnishings and feature a work-desk and a private bathroom with a shower. 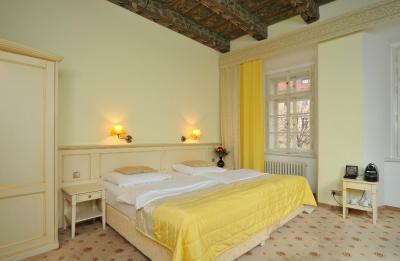 The rooms are decorated with rustic wooden furnishings. They feature a seating area with a Flat-screen TV and cable channels, a work-desk and a mini-bar. Please note that spa bath is available upon request. 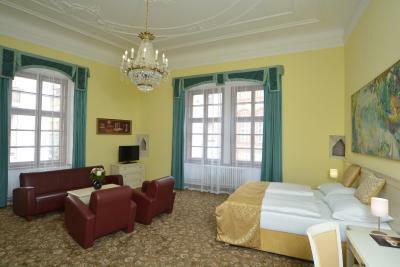 These spacious suites are decorated with classical furnishings. 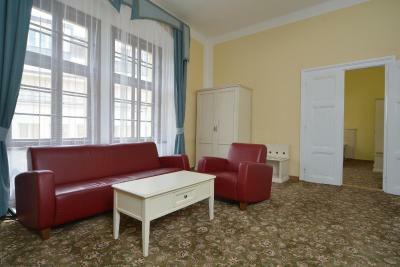 There is a large room separated into a bedroom and a living area. 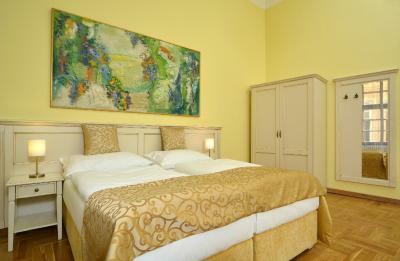 This room comes with a double bed or twin beds and an extra bed (requests are subject to availability). House Rules Hotel Metamorphis takes special requests – add in the next step! Hotel Metamorphis accepts these cards and reserves the right to temporarily hold an amount prior to arrival. The room might be a little dark - but that's absolutely just cherry-picking, we don't really have anything negative to say. 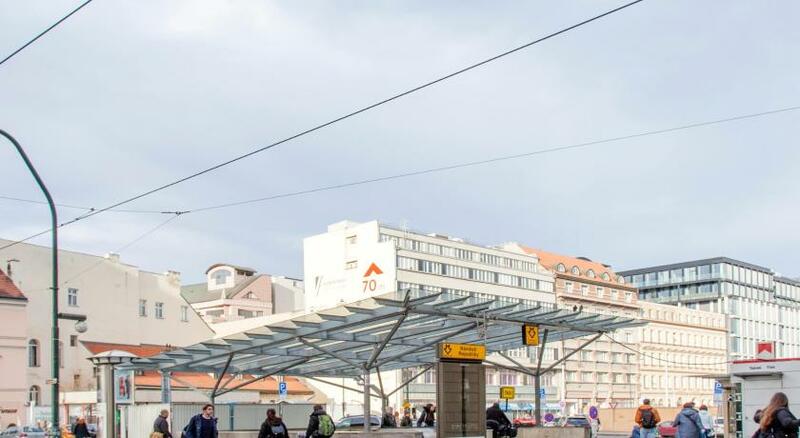 If you're a light sleeper maybe wear ohropax as you are really in the middle of the city. Bed was comfortable, room was spacious and clean. 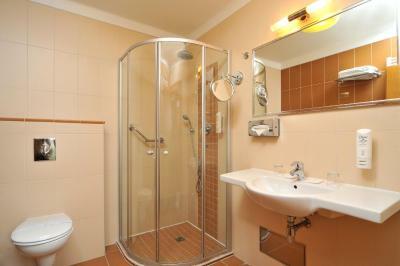 The bathroom was clean too and the bathtube big enough for two people. Check-in and -out were the quickest we ever had. And the room itself was unbelievably beautiful due to the ceiling painting. 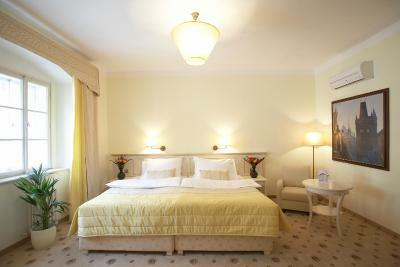 We requested a room like this and the hotel very quickly and friendly responded to our request. Breakfast was good but nothing special by itself. However the dining room was beautiful! And you absolutely can't beat the location. Difficult to find the hotel by car as not easily signposted - limited on-site parking. Slow and slightly unreliable Internet connection. Breakfast was available next door/across the street - slightly disappointing quality when compared to others experienced during our trip. Can be noisy at night from the street noise. Rooms could be made up better each day. Location was fantastic, easy access to all the attractions. Staff, especially Ivan was very very helpful. 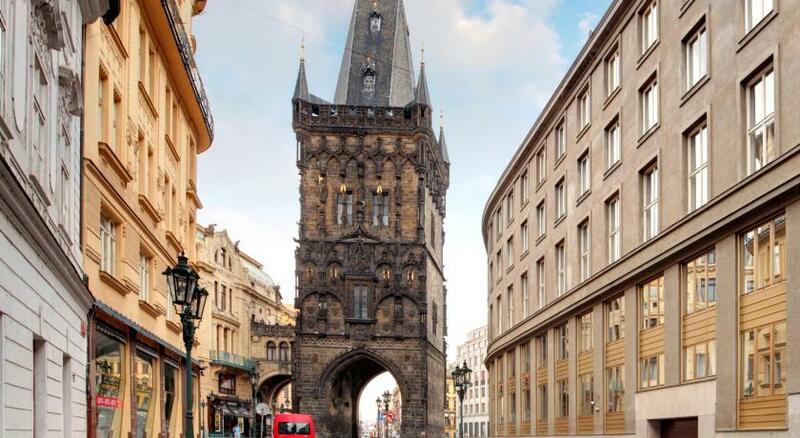 The hotel is situated right in the centre of Prague, which means that there can be a bit of noise at the weekends. 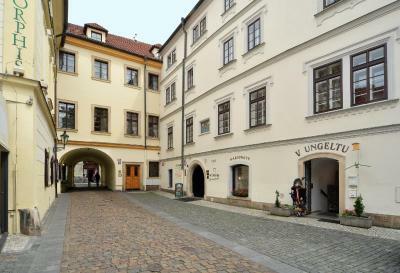 The location is lovely, however, in a courtyard close to one of the big squares. 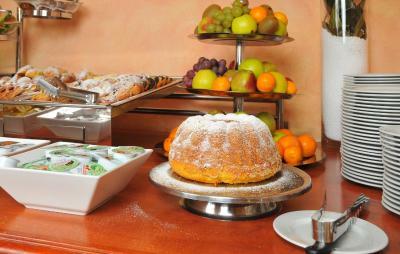 The breakfast was delicious, the beds were very comfortable and the room we had was really spacious. The bathroom was particularly good. 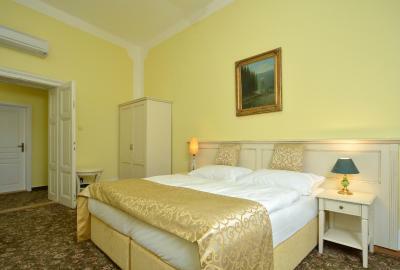 We came just for one night and decided to take hotel in good location and good room (suite). The hotel was not as expected. Room was noisy. I checked in late night and asked to prolong a bit stay for 2 hours and after long checks I got one additional hour. But the major problem was that at the morning water supply stopped and we were told that it is what it is and hotel can't do anything. Mo water until 3 pm. No efforts to resolve situation or even try to help. After my argument , we were moved to small room (instead of suite) , but just after waiting and arguing. Very disappointing. WiFi was very intermittent with little connection most of the time, this would be fine if there was public/communal areas in the hotel but there aren't any. 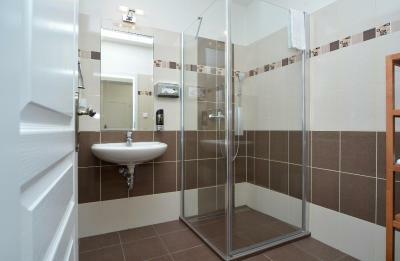 Shower is at a very strange angle and height meaning you have to hold the shower above your head and try to wash with your other hand, that along with hot water also being very intermittent, going hot and cold every few minutes made it very difficult to have a decent shower. Didn't really feel part of the hotel as we were in a separate building (which was under a different name) to the main hotel. Our 1st room was facing a night club and it was extremely noisy with revellers leaving in the early hours. The hotel did provide ear plugs in the room which is not a great solution to a problem they obviously have an awareness of. 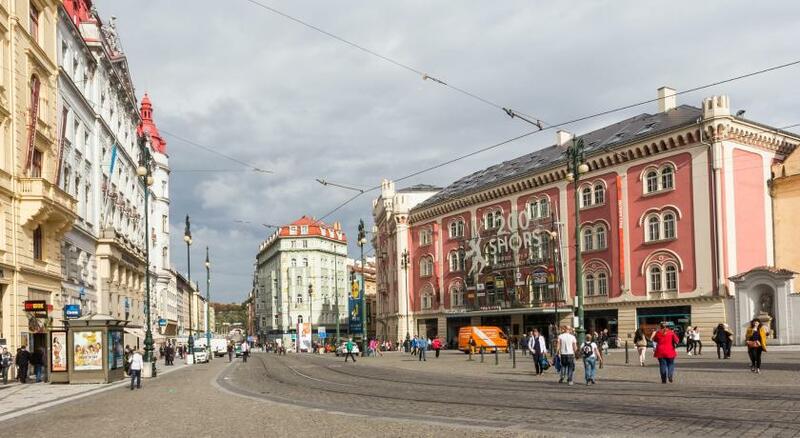 We have stayed in the heart of many major cities across Europe and never experienced a noise problem before. Breakfast was a little limited for a 4 star hotel and didn't change from day to day. Beds were not the most comfortable and having two single beds pushed together along with 2 single duvets does not work well for a couple as it felt like you rolled away from each other due to the edge of the single beds meeting in the middle. 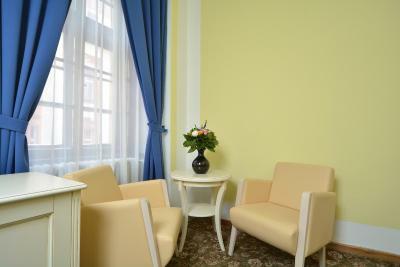 Staff were friendly and helpful, on asking to change rooms due to noise issues, they found us another room. 2nd room was much better as it faced a different direction. 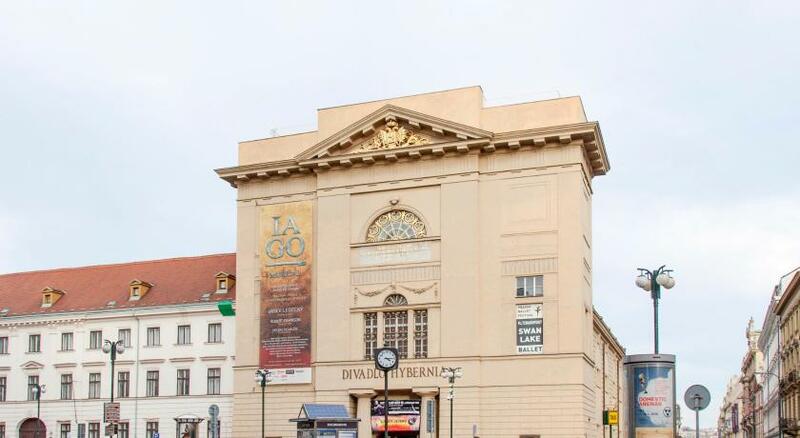 Excellent location for Prague Old Town, Wenceslas Square, close to all the well known attractions, shops, bars, restaurants etc and an easy walk to Republic Square for tram and metro connections. 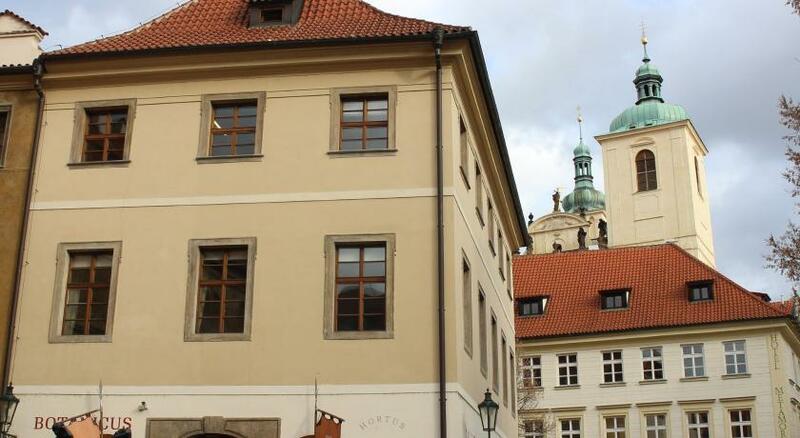 Very sparsely decorated (as are many hotel rooms in Prague i.e. not unique to this hotel). Could be made really nice by spending some money on it as the room I stayed in was very spacious with high ceilings etc. Breakfast served over the road and down a rather steep staircase. Could be difficult for those not so mobile. Breakfast passable but only of moderate quality. 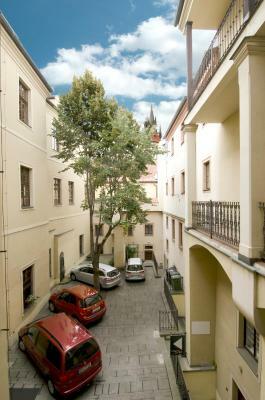 Very good location in heart of old town. Suite very spacious. Not too expensive at all so overall good value for money. unrelated employees, low service , The rooms are not cleaned well, most of the staff are uninterested and ungrateful, the towels are not changed, the bathroom and the room is not completed with the missing. 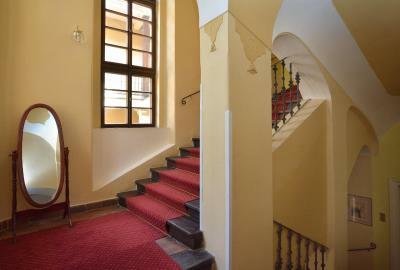 Excellent location, close to all sightseeing points and surrounded by good restaurants. Very good breakfast. Beautiful and big room in an old building. 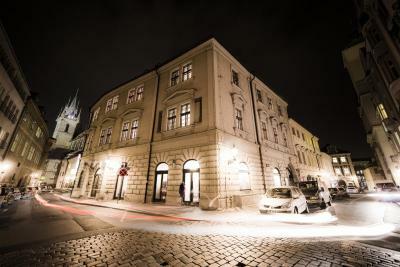 The location was brilliant and it was lovely to stay in such an interesting building. 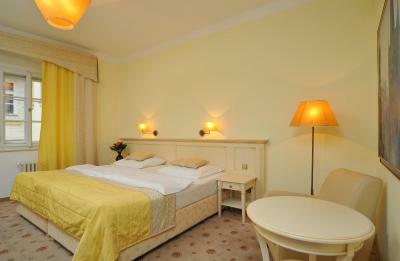 The staff were very helpful and provided us with different pillows when we requested them. Our room was a bit smaller then our friends and jt was a heck of a climb up several flights.